St. Matthews in Louisville, Kentucky is full of interesting and delicious dining choices. 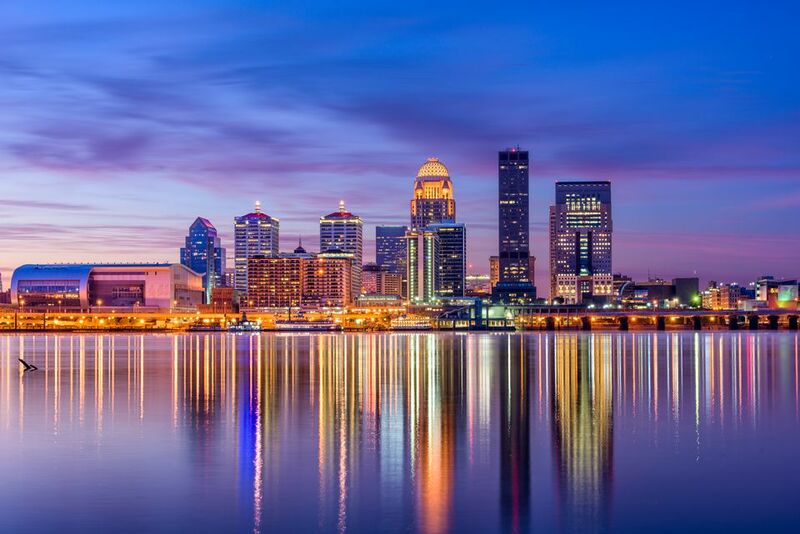 The restaurants on this list are a variety of choices and offer some of the best food in the city of Louisville. While there are a few Havana Rumbas in town, the first was opened in 2004 in the heart of St. Matthews. It started small and slowly expanded, all the while serving up delicious Cuban cuisine. Dine on salads, seafood, Cuban sandwiches, and an assortment of entrees. It's a fun place with lively music, a friendly staff, and they do a bustling business. Located in the same low-key strip mall as Havana Rumba, Charim serves up authentic Korean food. If you've ever gone out for Korean, you know the banchan is a social, satisfying part of the experience. Banchan (which means side dishes) is an assortment of small sides shared with the table. Often included are a few types of kimchi, pickled vegetables, seasoned spinach, and toasted seaweed. For your entree, Bibimbap is a favorite. P.F. Chang's is an upscale Chinese restaurant with classy décor and service, which is amplified by the fantastic menu of flavorful Chinese dishes prepared with high-quality ingredients. If you didn’t know it prior to eating at P.F. Chang’s, you’d probably never guess that it was a chain restaurant. In fact, everything from the white stallions that stand at opposite sides of the restaurant’s entrance to the intricately-prepared dishes signals originality and attention to detail. Ruth's Chris is a fine dining establishment specializing in steaks and seafood. One of the best features of the Louisville Ruth's Chris Steakhouse is its placement at the top of the Kaden Tower – diners not only indulge in amazing food, but they also get to enjoy an amazing view of Louisville's East End. The prices are high, but the quality of the food is completely worth the cost. Napa River Grill is unique in the Louisville area in serving Northern California/Pacific Rim fusion cuisine. One of the biggest attractions of Napa River Grill is its seasonal menu that features fresh fish, steaks, pasta, and salad, and in the warmer seasons, Napa River Grill is a fabulous place to eat because it has one of the best outdoor dining areas in the entire city. This is on the edge of St. Matthews, in the Crescent Hill neighborhood, and while it's not on our list of top 10 Frankfort Ave. restaurants, it probably should be. If you've driven past Frankfort Avenue Beer Depot, chances are you've smelled barbecue smoke in the air. There are two large smokers outside of the establishment using low-and-slow smoke methods in order to serve up some of the best meat in town. Known for their ribs and brisket, they also have hamburgers on the menu, too. The restaurant itself is very casual with a tavern vibe and while families are welcomed there are plenty of people there having a cold beer or sipping on a glass of bourbon. There are even a couple of games in the back (corn hole and a bit of golf putting) if you like to keep busy before your meal. A family-owned restaurant, Silvio's is a welcoming space serving up Italian American cuisine. For a starter, their rice balls are a favorite, three rice balls filled with mozzarella balls and served with a marinara sauce to top. For your entree, choose from Veal Parmesan, Chicken Parmesan, various pasta dishes, and more. The staff is very attentive and don't be surprised if the owner himself stops by your table to sure you are enjoying your meal. This restaurant is technically in Lyndon, a suburb in Louisville's East End past St. Matthews, but if you are in the area and in the mood for Mexican food, it's work the drive. There are a few varieties of guacamole on the menu. Typically a traditional option made with onions, tomatoes and cilantro and a sweeter choice featuring roasted poblano peppers, corn, and grilled red onions. Whatever you choose, it is sure to be delicious. Their sister restaurant El Taco Luchador​ is located in Louisville on Baxter Ave.